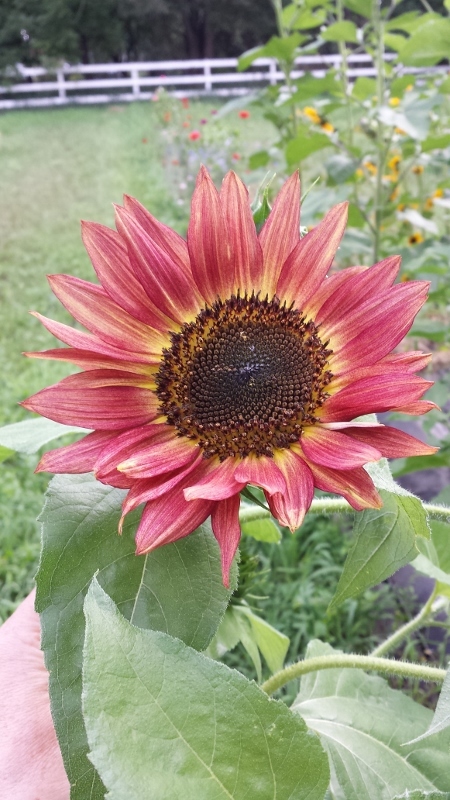 Most of the first batch of sunflowers I planted were killed by our Mothers Day snowstorm. On a whim, I bought a new packet of "wildflower" sunflowers from Home Depot. They were beautiful, with multiple flowers per plant, and good for cutting.